Harley-Davidson Inc. reported it’s Q4’13 financials today posting a 9.7% year-over-year rise in earnings to 34 cents per share from 31 cents in the year-ago quarter. The year-over-year increase was due to higher revenues and lower operating expenses in the Motorcycles segment. Revenues improved 1.7% to $1.19 billion and operating income rose 5.1% to $122 million from $116.1 million in the fourth quarter of 2012. Net income increased 6.8% to $75.4 million from $70.6 million a year ago. For the 2013 full year results revenues increased 5.7% to $5.9 billion from $5.58 billion in 2012 and net income increased to $734 million from $623.9 million a year ago. So were there any other highlights? Mr. Olin also talked about a “fatten the tail” strategy. I’m not 100% sure of the context, but simply put, a financial fat tail describes a rare and extreme event. On one end of the spectrum, are products like Project RUSHMORE that encourage trade-up at a high revenue and at a very high margin, and typically are aimed at H-D’s core customer. But, Rushmore is selling extremely well with outreach customers. 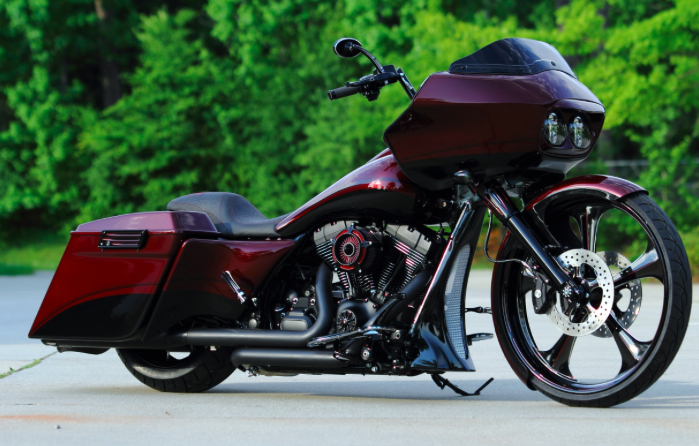 And in addition, the Street Glide is the #1 selling bike to women, young adults, African-American and Hispanic’s. Suffice to say that the Road Glide was a huge part of H-D sales and it’s no longer there. Yet, the quarter was great! Congrats to the H-D team.